Stay tuned for more details as we update our site! Sunday, July 14, 2019 at 4PM: our “Bastille Day” season opening with a French accent! Schrade-James Family musicians open the season with a festive program featuring “Carnival of the Animals”by Camille Saint-Saens -with special guest Magee Hickey narrating! Members of the Schrade and James families have attracted a loyal following of audiences and press, whether at Lincoln Center, Wigmore Hall, Carnegie Hall, throughout the US, Canada, New Zealand, France, the UK, Italy, or Fiji, in chamber, solo, and orchestral appearances, and on radio, television, and numerous highly praised recordings. As individuals they have garnered dozens of awards and accolades and as a family were the first listed on Steinway’s global artists roster (as well as individual listings). 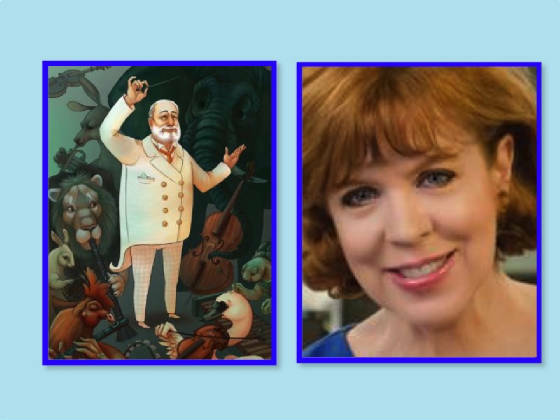 This year’s program will include works for piano, cello, solo, and duo, and will feature the deservedly popular “Carnival of the Animals” (Camille Saint-Saëns) with Emmy-winning television journalist Magee Hickey (of WPIX, formerly WABC, WNBC, WCBS) reciting the delightful accompanying verses by Ogden Nash! 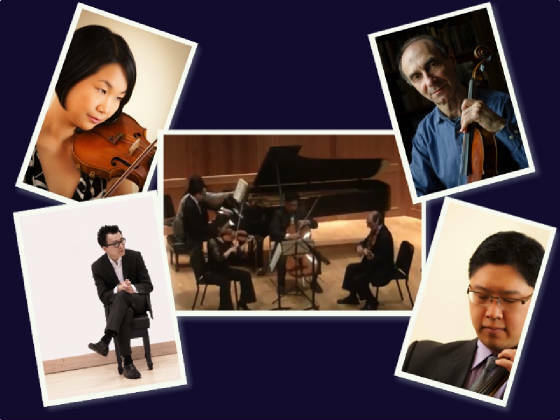 The Revere Piano Quartet returns to Sevenars after powerhouse performances here last season! 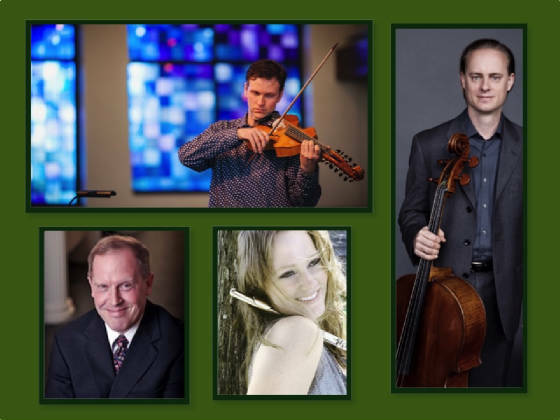 These four exciting musicians have created a program of rare and beautiful works from “across the pond,” including Frank Bridge’s colorful Phantasy for Piano Quartet and William Walton’s Piano Quartet (composed when he was sixteen!). Solo and duos TBA will round out the British theme.Pianist Tae Kim, hailed as a “radiant talent” (The Boston Globe), and Smith College violinist/violist Ronald Gorevic, “a musician first and foremost” (NY Times), will join forces with the husband-wife pair of cellist Eugene Kim and violinist Jin-Kyung Joen, together called “masterful” (The Boston Musical Intelligencer). All four are sought after for their teaching and solo, orchestral, and chamber music performances throughout the US and abroad. Sevenars is excited to welcome back members of the illustrious faculty of Greenwood Music Camp in a program featuring the viola d’amore, with its nationally known proponent Matthew Dane, who will share his wealth of knowledge as well as playing Vivaldi’s Concerto in D minor with superb musicians Gregory Hayes (harpsichordist and Dartmouth faculty member) and Gregory Beaver (cellist of the now-disbanded but celebrated Chiara quartet). Along with major works of Bach, Ariosti, and Garth Knox (and fiddle tunes TBA), the program will include the premiere of a new (2019) work by Geoff Hudson, pairing the viola d’amore with the flute artistry of Christina Jennings (a star flutist who happens to be Matthew Dane’s wife)! Don’t miss this unforgettable musical smorgasbord! Exciting young pianist George Bowerman returns to Sevenars by popular demand three years after giving his impressive Sevenars debut as “Young Artist to Watch.” Native of Springfield, he has distinguished himself in the Bradshaw and Buono International Piano Competition, the North York Music Festival in Ontario, and the Seattle International Piano Competition, as well as summer programs from Eastman to Brevard Music Center. Notable performances have been at New York’s Steinway Hall, Newport’s Belcourt Castle, and on recital seriesthroughout the Northeastern US and Canada. 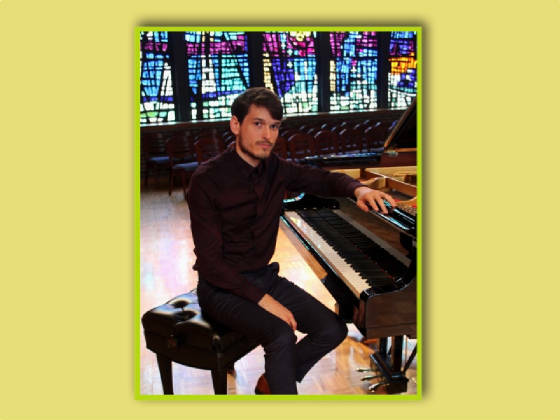 He plays a wide range of repertoire with passionate dedication and will bring us a beautifully diverse program of works by C.P.E. Bach, Franck, Brahms, and Chopin, and also an exciting work by the masterful Massachusetts composer, Stephen Dankner. David James, one of New Zealand’s foremost pianists, will play masterworks by Schubert, Chopin, Brahms, Albeniz, Ravel, Lecuona, and de Falla.Though a tireless director of Sevenars for decades, he gave his last solo recital here nearly twenty years ago. Praised for “electric intensity and brilliant virtuosity” (N.Z. press) he was a top prizewinner of the prestigious University of Maryland International Competition, among others. His recordings as recitalist and soloist with orchestra for Radio N.Z. are still aired throughout N.Z., England, and Wales. His many New York appearances have included a 1980 Carnegie Recital Hall debut (presented by the Queen Elizabeth II Arts Council and New Zealand consulate), and regular performances at Lincoln Center with pianist Robelyn Schrade, as well as collaborations with the distinguished University Glee Club. 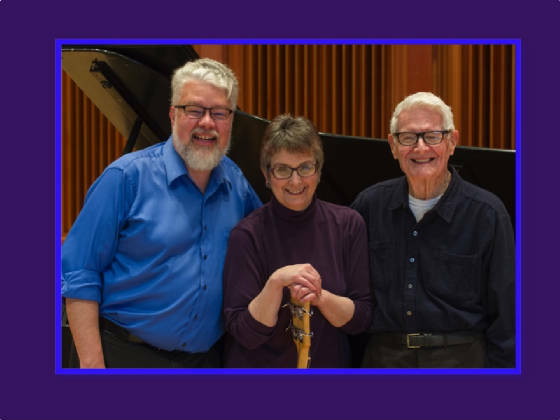 The Bob Sparkman Trio is a Sevenars favorite, combining the gifts of jazz clarinetist Bob Sparkman with those of Jerry Noble, classical and jazz pianist, guitarist, and composer, and Kara Noble, bass guitarist and vocalist. 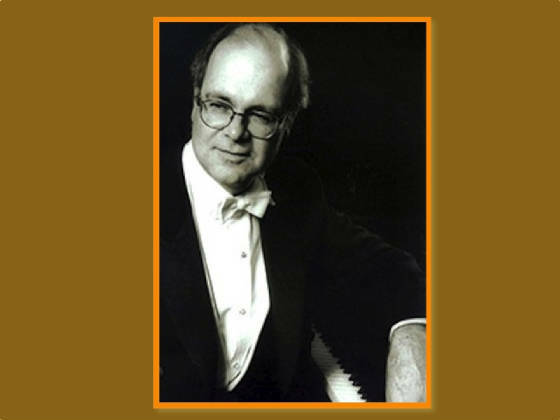 Clifton “Jerry” Noble is a sought-after composer of works performed internationally, as well as gifted staff pianist for Smith college. He has enjoyed over twenty years of collaborations with clarinet wizard Bob Sparkman, together attracting devoted fans of their concerts and CD recordings. Bob is a national treasure who honed his golden clarinet phrasing while playing with The Jazzmen, The Bourbon Street Six, the Gotham Jazz Band, Fats Waller’s trumpeter Herman Autry and other greats. Bass guitarist Kara Noble unites the trio with her superb musical support including versatile vocals. Come celebrate our grand finale!